According to a new market report, the future of the Chinese carbon black market looks good with opportunities in the tire, non-tire rubber, plastic, coating, and ink applications. The Chinese carbon black market is forecast to grow at a CAGR of 7.0% from 2016 to 2021. The major drivers of growth for this market are the strong demand for carbon black from tire and industrial rubber compound. In this market, carbon black is used in tire, non-tire rubber, plastic, ink, and coating applications. On the basis of its comprehensive research, the author predicts that the tire application is expected to remain the largest segment during the forecast period supported by continuously increasing fleet size of passenger cars and light commercial vehicles. Within the carbon black market, the transportation industry is expected to remain the largest market by value and volume. Increasing demand for tire and other rubber molded parts are expected to spur growth for this segment over the forecast period. Q.1: What are some of the potential, high-growth opportunities for the Chinese carbon black market by applications and end user industry? Q.3: What are the key factors affecting market dynamics? What are the drivers and challenges of the market? Q.4: What are the business risks and threats to the market? Q.5: What are emerging trends in this market and reasons behind them? Q.6: What are some changing demands of customers in the market? Q.7: What are the new developments in the market? Which companies are leading these developments? Q.8: Who are the major players in this market? What strategic initiatives are being implemented by key players for business growth? Q.10: What are M & A activities in the last 5 years in this market? What reasons can be attributed to these activities and how have they impacted the industry? - Market size estimates: Chinese carbon black market size estimation in terms of volume (kt) and value ($M) shipment. 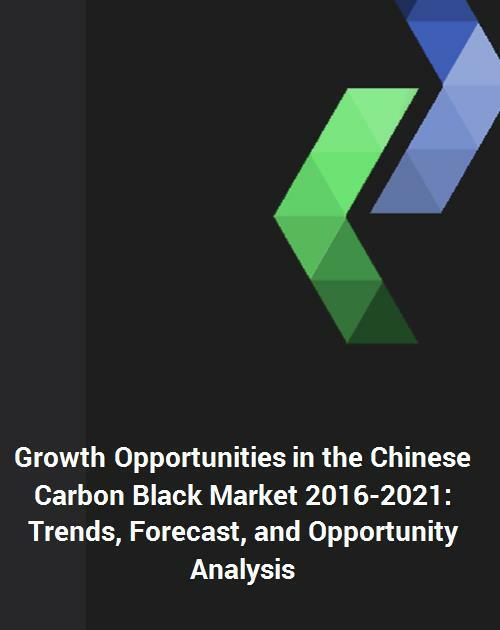 - Trend and forecast analysis: Chinese carbon black market trend (2010-2015) and forecast (2016-2021) by region, applications, and end user industry. - Segmentation analysis: Chinese carbon black market size by various application types such as tire, non-tire rubber, plastic, ink, coating and others; and market by various end use industry such as transportation, industrial, building & construction, printing & packaging and others both in terms of volume and value shipment. - Growth opportunities: Analysis on growth opportunities in different applications, end users and regions. - Strategic analysis: This includes M&A, new product development, competitive landscape, and expansion strategies of Chinese carbon black market suppliers. - Emerging applications: Emerging applications of Chinese carbon black in various markets.